The Dublin Juvenile Championships continued today at Irishtown with sprints and field events on the menu. 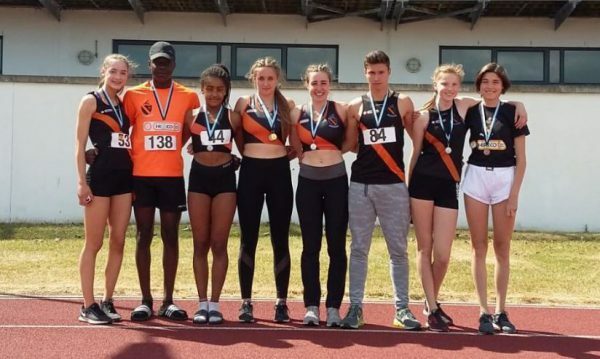 The sprints groups continued where they left off yesterday with medal winning performances. 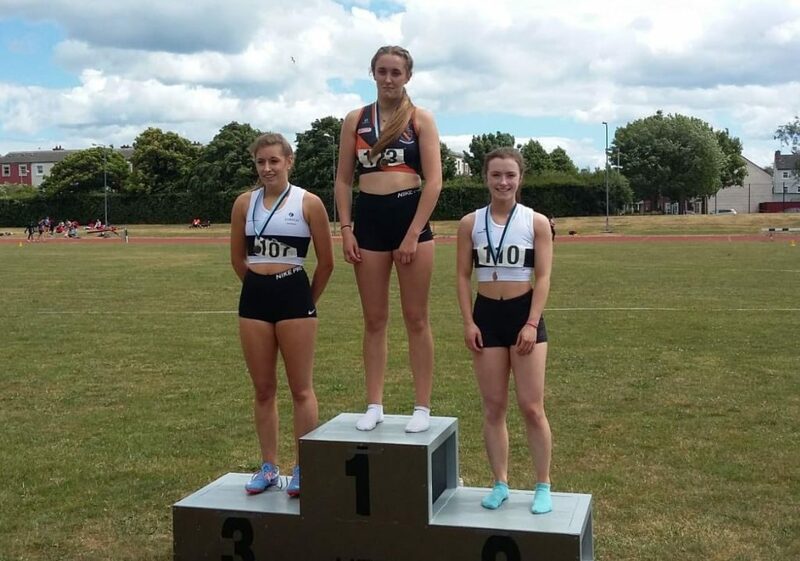 Lauren Carr won the U/19 200 title and took silver in the 400. Silver also for Rebecca Fitzsimons in the U/18 200. Aaron Nnadi did likewise in theU/17 boys 400. 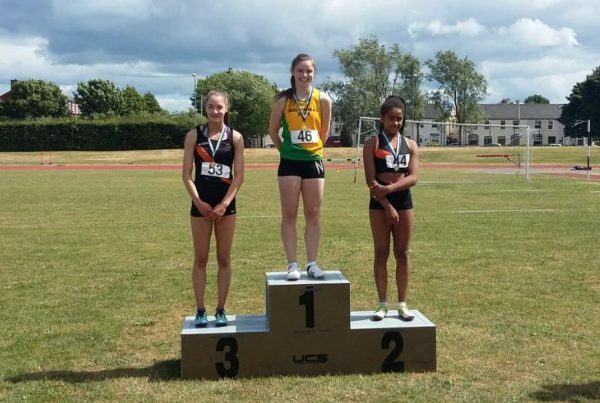 Silver and bronze were won by the U/16 girls in the 200 Alex Twomey 2nd and Emma McDonnell 3rd, Kristin O`Grady Hogan also made that final placing 5th. In the U/15s Sally Somula took silver. In the U/16 high jump Emma claimed top spot on the podium winning the competition. The U/15 girls were also superb in their high jump with Nicole Laipy 2nd and Natalia Burtenshaw 3rd. To complete a great day`s high jumping Kristian Bosnajak also took 3rd place in the boys U/17 (Kristain had also made the 200 final where he placed 5th). Bronze also in the U/15`s for James McDonnell. Finally Keith Burke took bronze in the U/15 discus. Tomorrow it`s to Tallaght for the 3000s, 100s and hurdles.